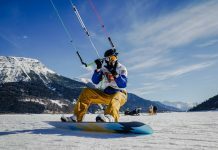 Il Summit è la vela di Ozone per gli snowkiters più esigenti, top delle prestazioni per questo modello Ozone 2015! 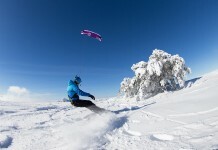 The Summit is an all out performance Snowkite for dedicated and experienced Snowkite riders. 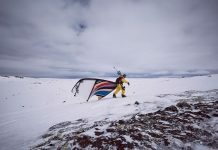 The 2015 Summit defines top Snowkite performance. With the addition of our new Internal Re-ride Safety System the Summit becomes the most versatile performance kite on the market.